Cefixime is an oral third generation cephalosporin antibiotic. It is used to treat gonorrhea, tonsilitis, and pharyngitis. The usual dose is 400 mg in two divided doses for up to 5-7 days. 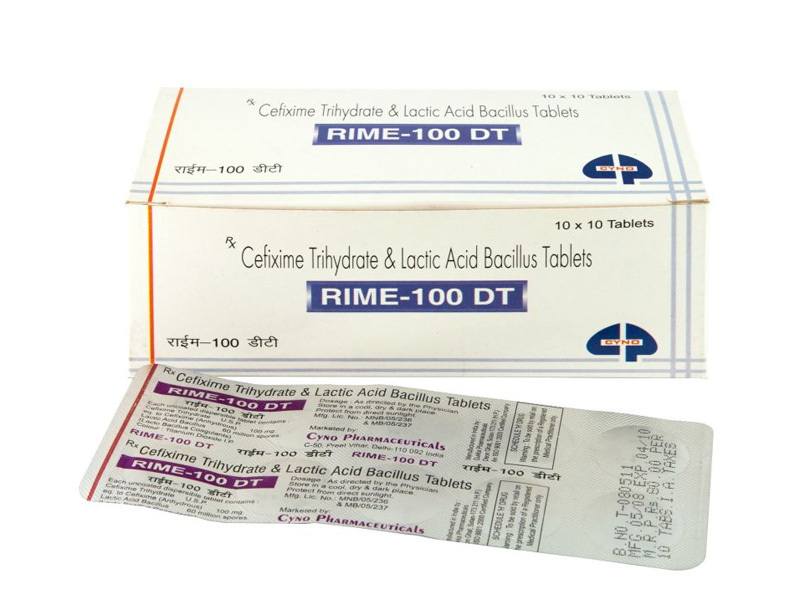 Cefixime binds to one or more of the penicillin-binding proteins (PBPs) which inhibits the final transpeptidation step of peptidoglycan synthesis in bacterial cell wall, thus inhibiting biosynthesis and arresting cell wall assembly resulting in bacterial cell death. Only 40-50% is absorbed from the GI tract (oral); rate may be decreased if taken with food. Greater absorption from oral suspension than tablets. Bile, urine (high concentrations); crosses the placenta. Protein-binding: 65%. 20% of an oral dose excreted via urine unchanged; 60% nonrenal elimination; some is excreted via the faeces from the bile. Substantially removed by dialysis. Pseudomembranous colitis, thrombocytopenia, thrombophlebitis, leucopenia, seizures, flatulence, dizziness, headache, nausea, vomiting, anorexia, diarrhea, abdominal pain, urticaria, pruritus, dyspepsia, hypersensitivity. Probenecid may increase the blood concentration of cefixime by decreasing removal of cefixime by the kidney. May increase prothrombin time with anticoagulants. Adult: PO- Susceptible infections- The recommended dose is 200-400 mg/day. Uncomplicated gonorrhoea- The recommended dose is 400 mg as a single dose. History of allergy to penicillins; pregnancy, lactation; renal failure; GI disease. Store it at room temperature and in an airtight container. Keep away from children.